On Monday night after photography class I met up with my friend Kristen Foran in her studio at the school. She had this giant bucket of pompom balls and she told me to put my hand in it. And it’s just a moment of pure happiness because there’s all these soft and fuzzy colourful puffballs and you’re wrist deep in them. Pictured above. On Tuesday I found a window on the fifth floor that lets nice light in at a certain time. 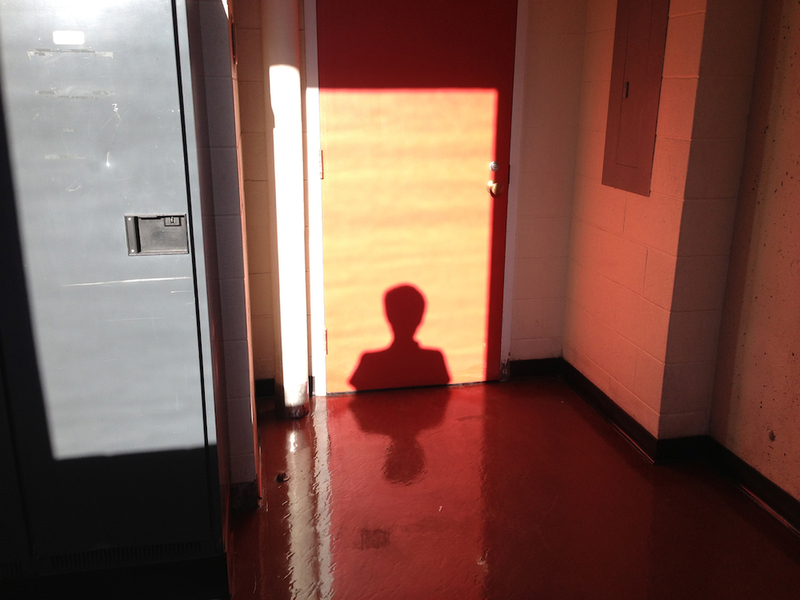 It aligns with this door tucked in the corner of the hallway and I made a photograph with my silhouette. Wednesday was a fun day with the photoshoot. 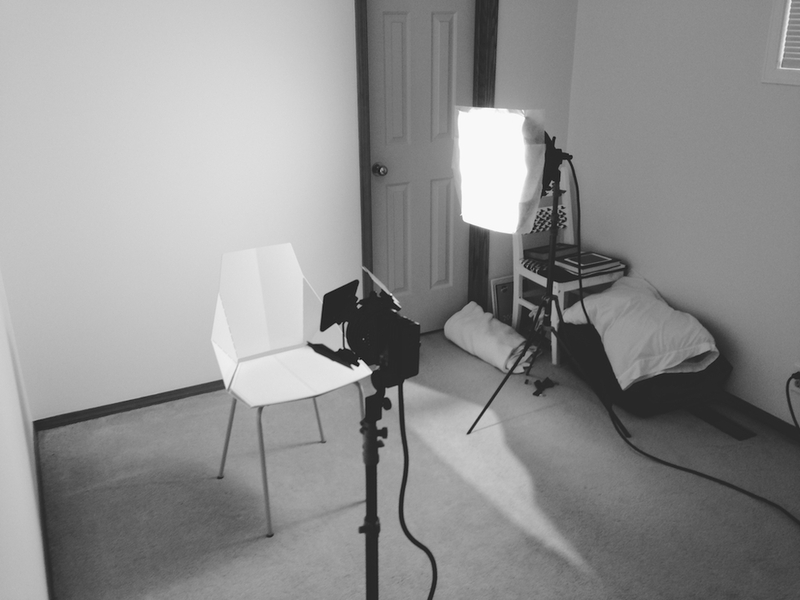 I rented a lighting kit from the school and was playing around with that for a good five hours or so. My brother Levi was the subject and he was very patient with everything. It was nice to work in a controlled environment after the unpredictable elements of the prior photography project with the Bow building. The highlight of the week was the gallery opening of Illustrated Patterns and it was great to see all the work up on the walls. Earlier that day we had our critique of the illustration projects and it went well. The class produced some amazing work and I’m really fortunate to be surrounded my so many talented people. The things the illustrators can produce are, in some cases, quite mind-blowing. Brittany made this photograph of me standing beside my pattern in the gallery. I was really happy. There was more “research” done for my branding class Sushi project during lunch on Friday. I was really conscious of the buying experience and how people were selecting their sushi at the storefront. I also made sure to consider the experience of eating it too. And it was really tasty. Saturday morning I was driving on the highway near my house right around the morning magic hour and the shadows were long and it was surreal when all of this was combined with the long sight lines of a highway. Vast expanses of space with near-impossibly long shadows. Unfortunately I don’t have a photo to share because I was driving. But I wish you could have seen it.